Auto body shops, insurers, suppliers and others going to SEMA this fall might want to consider a detour to the Tuesday, Oct. 31, Collision Industry Conference. 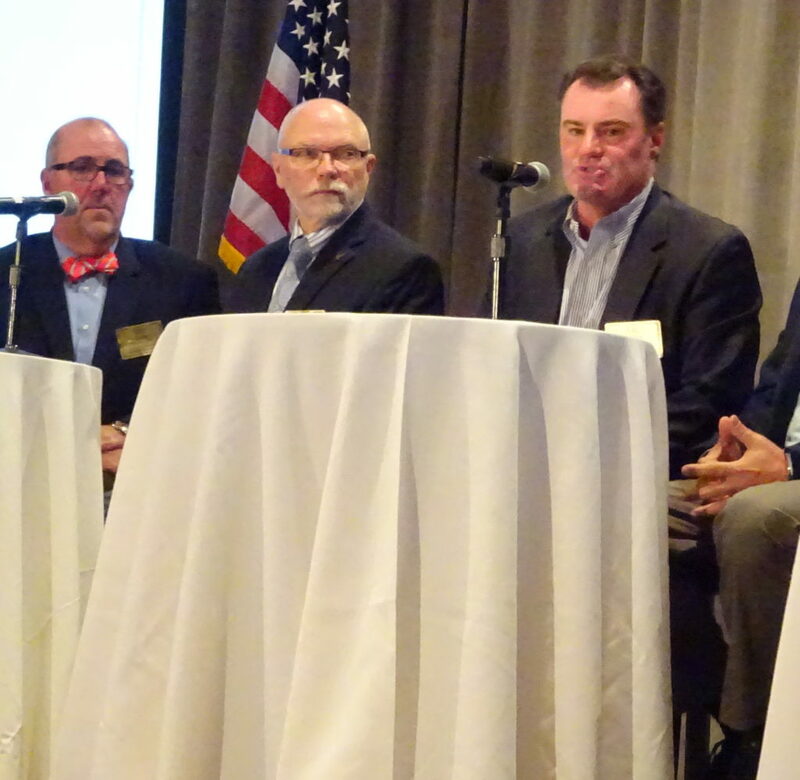 CIC is a quarterly chance for collision repairers, insurers and other auto body ecosystem interests to hash out industry issues and learn about one another’s business sectors. Anyone is welcome to attend. 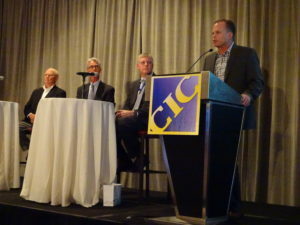 An agenda released Friday for the Oct. 31 CIC includes segments on some of the hottest issues of the year, including CCC’s controversial Secure Share data exchange, scanning and calibration, and the concept of OEM procedures — something insurers on a July CIC Insurer-Repairer Relations panel failed to accept as the industry standard. CIF coordinated about $250,000 in donations and helped about 150 households following Hurricane Katrina in 2005. It provided more than 80 tool sets during that storm — seen by some recipients as more important than typical relief donations. The Insurer-Repairer Relations Committee will follow at 8:30 a.m. Co-Chairmen Clint Marlow (Allstate) and Doug Irish (AccuracyDriven4) will examine “‘OEM Procedure Issues’ – I-CAR’s ‘How to escalate’ & ‘Dash Light’ clarification,” according to the agenda. As noted above, the July CIC and NACE saw insurer resistance to the notion of following OEM procedures every time, leading to criticism by shops. Marlow had proposed then that the opinion of someone other than the OEM also could be used to determine a proper repair, a position not supported by I-CAR, collision repair trade groups, and the legal system. The mention of escalation is intriguing, as the concept would be potentially a useful tool for a shop to avoid needless tension with a local-level adjuster. We’ve reported on several examples of a local staffer incorrectly representing his insurer’s position and superiors setting the record straight. Conversely, there’s probably things that employees of larger shops or MSOs do in interactions with insurers that contradict what the repairer’s boss would like to see happen. Teaching each industry how to move up the food chain at the other sector might yield a more satisfactory outcome for everyone — including the mutual customer. The “dash light” reference seems fairly obvious. Some shops and insurers unfortunately labor under the misconception that malfunction indicator lamps (“idiot lights”) will signal everything wrong with the car. In reality, they barely scratch the surface of the number of electronic issues a shop might need to address in a repair plan or before returning a vehicle — and this has been the case for longer than one might expect. (Subaru, for example, recently clarified that the need for scans dates back to 2004.) The more each industry can do to educate each other that diagnostic scans are necessary, the better. Outgoing National Collision Repairer editor David Newton-Ross, a longtime fixture in the American collision repair industry as well as his native Australia, will give an “Update from Down Under” at 9:30 p.m. Such international perspectives provide an interesting contrast to the U.S. and might signal trends coming here. At 10:30, the Open Systems, Data Access and Sharing Task Force helmed by Mark Algie (3M), Dan Risley (Automotive Service Association) and Rick Palmer (Computer Logic) will report on their latest findings and industry shareholders’ views regarding CCC’s ongoing launch of Secure Share. The data clearinghouse, planned as a replacement for uploading or “data-pumping” EMS files, has been the focus of the task force’s meetings since the January 2017 CIC. CCC appeared with the task force at the July CIC to discuss its position and has also responded to task force questions about the platform. 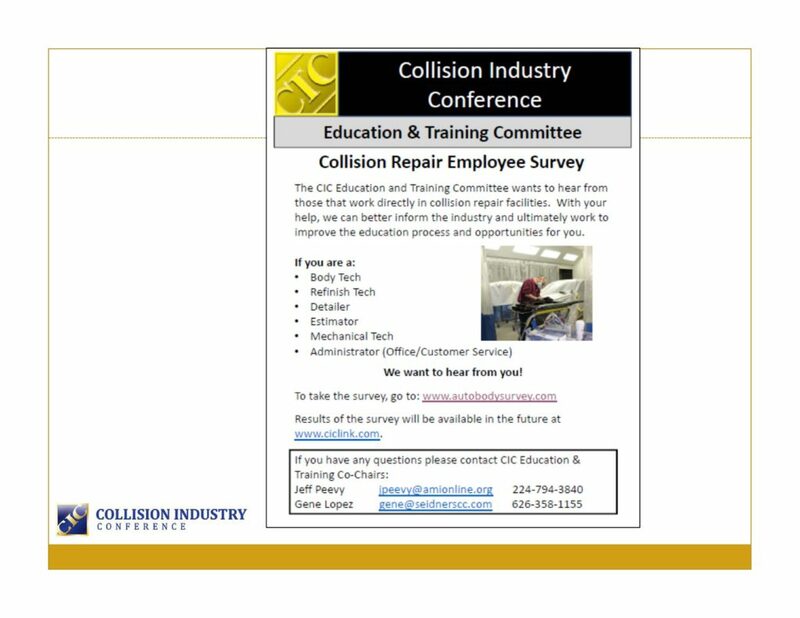 Education and Training Committee Co-Chairmen Jeff Peevy (Automotive Management Institute) and Gene Lopez (Seidner’s Collision Centers) will at 3:30 p.m. present the results of a survey of auto body shop detailers, estimators, painters, auto body technicians and those in front-office customer service roles regarding training. The SEMA Week CIC is at the Renaissance Hotel, but a free shuttle sponsored by SSF Imported Auto Parts (Thanks!) will ferry CIC participants between the East Tower of the Westgate Hotel next to the SEMA venue. Shuttles depart every 15 minutes between 7-8:15 a.m. from the Westgate and return to the Westgate from the Renaissance every 15 minutes between 5-5:45 p.m. You’ll be back at the Westgate with plenty of time before the 6:30-9 p.m. reception.